Cellular Sales has opened its newest store in Goleta, Cali. 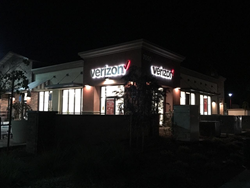 Cellular Sales, the nation’s largest Verizon premium retailer, expanded its West Coast presence on July 14 with the opening of its first California store, located in Goleta. The store is located in the newly built Hollister Village Shopping Plaza, a neighborhood retail center with a diverse list of retail stores and restaurants. The location, which attracts many local residents, students and visitors and includes an on-site apartment community, allows Cellular Sales to provide convenient and quality service to its customers. Cellular Sales, which currently operates approximately 550 stores across the nation, has targeted California as a growth market. The Knoxville, Tenn.-based company is the nation’s largest Verizon Wireless premium retailer, and it has been named to Inc. Magazine’s Inc. 5000 list as one of the fastest-growing privately owned companies for eight of the past nine years. Those interested in applying to be a Cellular Sales sales representative at the Goleta store may contact Recruiter Joe Cherrix at Joe.Cherrix(at)cellularsales(dot)com or call (805) 801-5396. Headquartered in Knoxville, Tenn., Cellular Sales was founded in 1993 and has been named by Inc. Magazine as one of the nation’s fastest-growing privately owned retailers for eight of the past nine years. The company currently employs nearly 4,500 people and operates approximately 550 stores nationwide. Job seekers may visit jobs.cellularsales.com. For more information on the company, visit cellularsales.com.